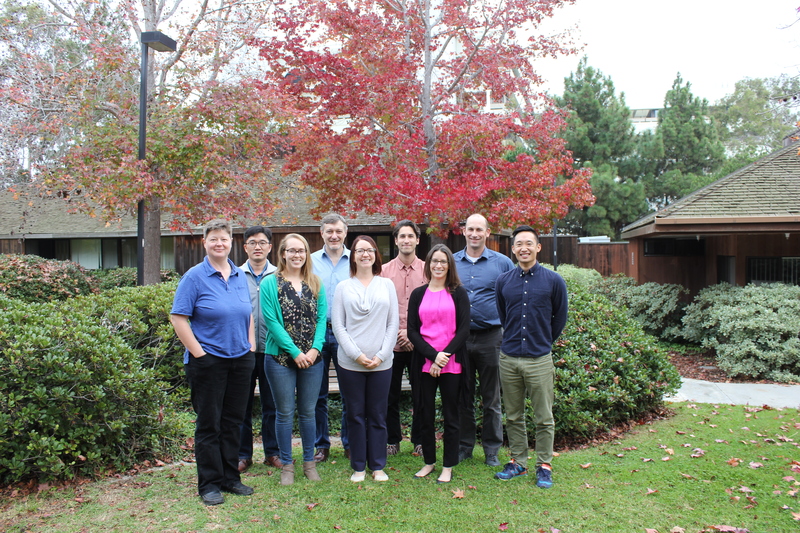 Meet the CCBB team – (back row) Guorong Xu, Roman Sasik, Adam Mark, Tom Whisenant, (front row) Amanda Birmingham, Brin Rosenthal, Jennifer Beaudette, Katie Fisch, and Art Nasamran. Katie specializes in precision medicine, cancer genomics and next-generation sequencing data analysis. Jennifer specializes in event coordination and business operations analysis. Amanda specializes in microbiome data analysis. Adam specializes in NGS pipeline development as well as the discovery and annotation of genomic variants for their role in cancer and rare diseases. Art specializes in predictive modeling, machine learning, and fMRI analysis. Brin specializes in network analysis and community detection. Roman specializes in RNA-seq and network analysis. Tom specializes in biological interpretation of transcriptomic and epigenomic data using standard analysis methods and application of machine learning approaches. Guorong specializes in the development of next-generation sequencing pipeline with high performance parallel computing and data analysis.